and the background is very interesting.. nice..
thanx a lot for sharing.... +fav ..
very nice wall! i love the background, yuki fits well with in there. although you need to work on your extraction a bit, but its still a good wall! good job and keep it up! nice wall! but I dont get the tittle... "ultra red"? Omigosh, Yuki is pure pwnage. She's one of my fave characters in this series. Great wall! Thanks for making & sharing! A different Yuki? I like! ^_^ Thanks for this wall! Yuki's really Kawaii! Ultra-power with glasses. 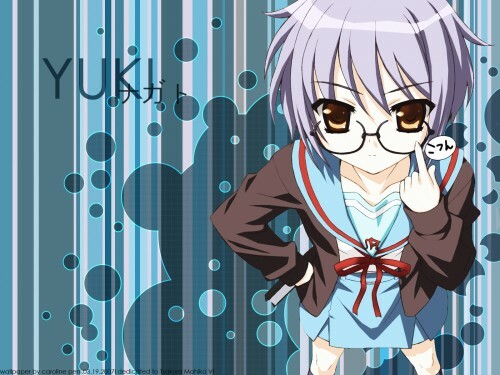 I miss glasses Yuki. Thanks for sharing! this is a nice pic!